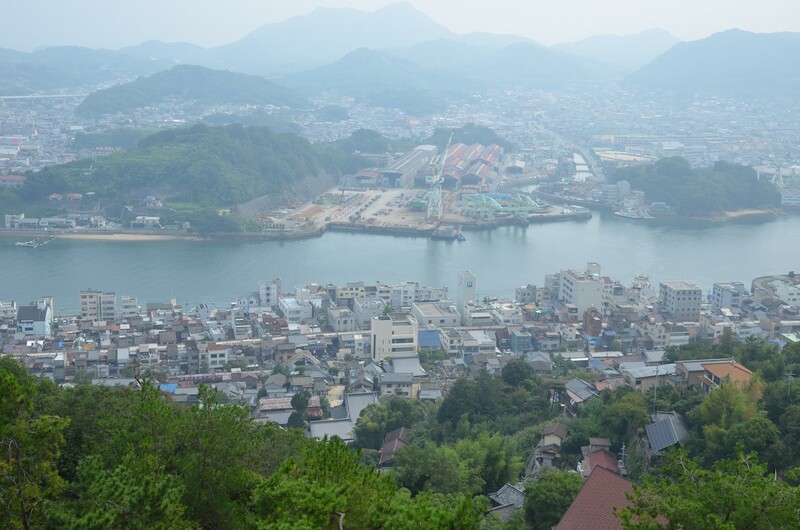 Onomichi City was an important port town historically and its recent history has seen it save itself from being just be an unappealing industrial city compressed between the coast and mountains by leveraging this cultural wealth. 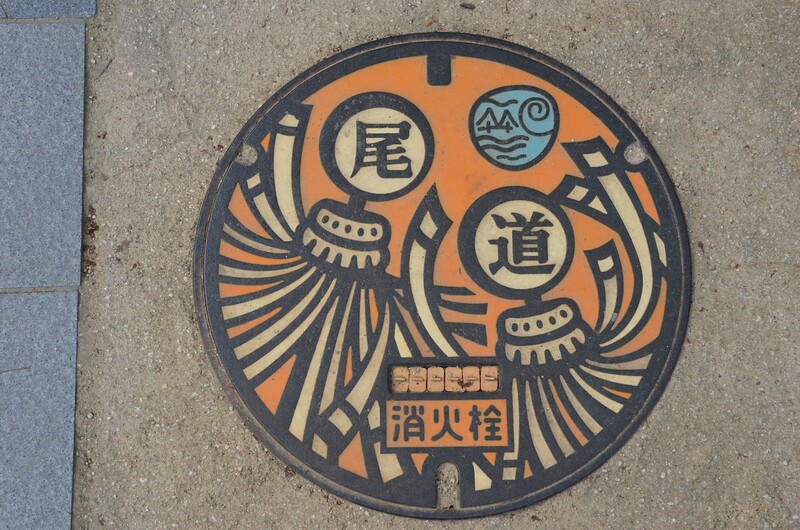 In the Edo period, the city flourished as a result of its official trading port status. Many merchants during the Edo period became very wealthy controlling the local trading and shipping and many hired poets, writers, artists and other craftsmen. 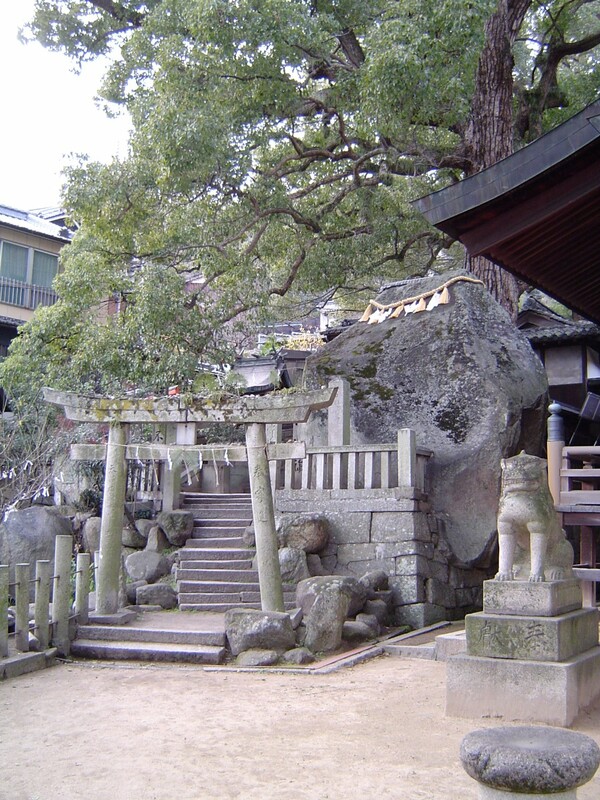 Many temples and shrines were also built with this wealth. Despite heavy industrialization of most of the area during Japan's modernization, the city has remained a focus of many artists. A famous trilogy of movies by a local-born and renowned director, Nobuhiko Obayashi, were made in the area. The area is famous for its cooking (ramen in particular) as well. 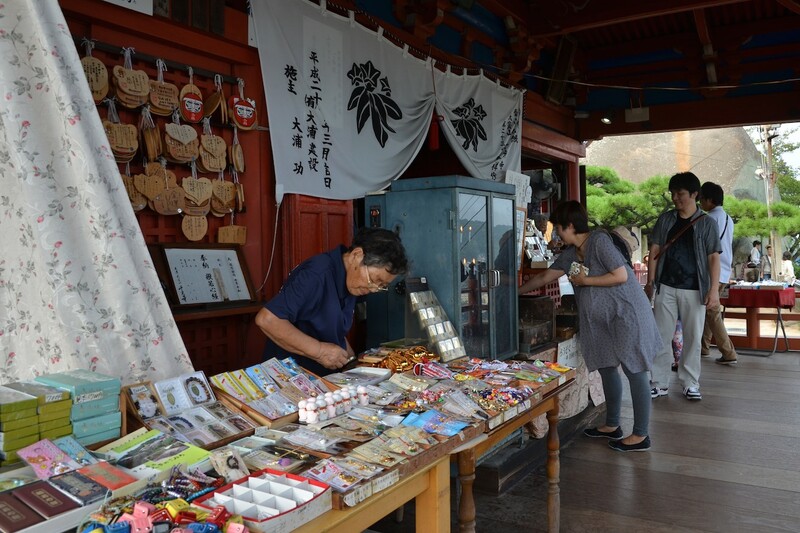 Senko-ji park with its temples, shrines and cherry blossoms is where to head for upon arriving. It is east of JR Onomichi Station and an effort has been made to make it an agreeable walk near the water there and back. 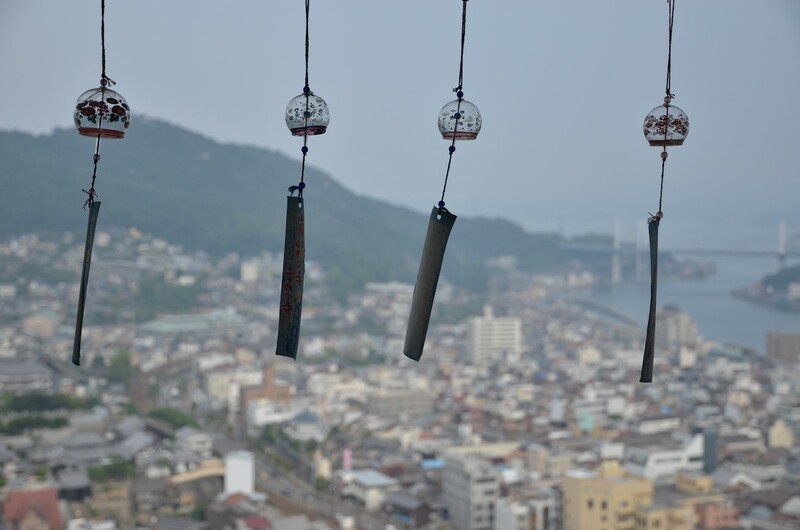 Onomichi's covered shopping arcade is located southwest of the park along the way. 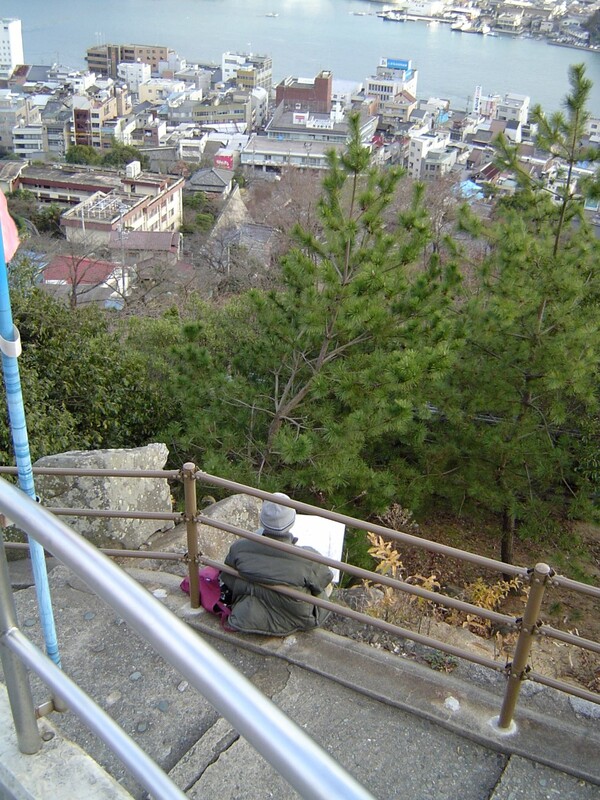 Senko-ji Park (千光寺公園) will be the focus of any visit to Onomichi. 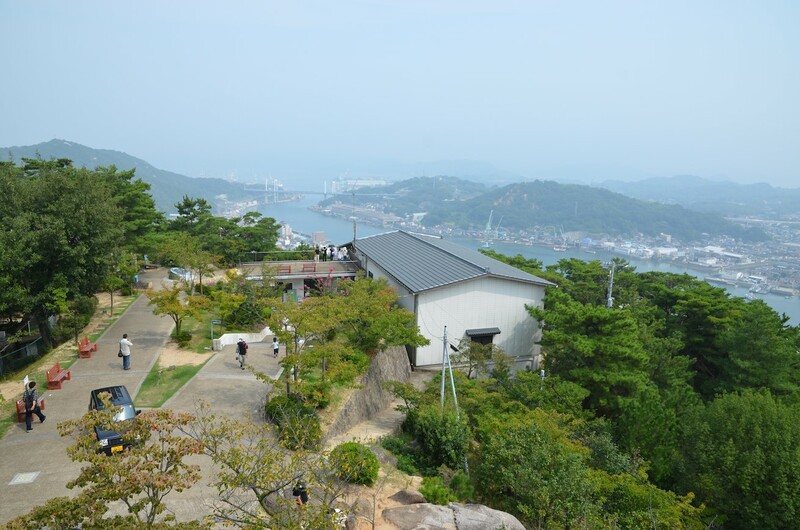 The park rises up over 130 meters above the city which is high enough to see far out into the Seto Inland Sea on a clear day. 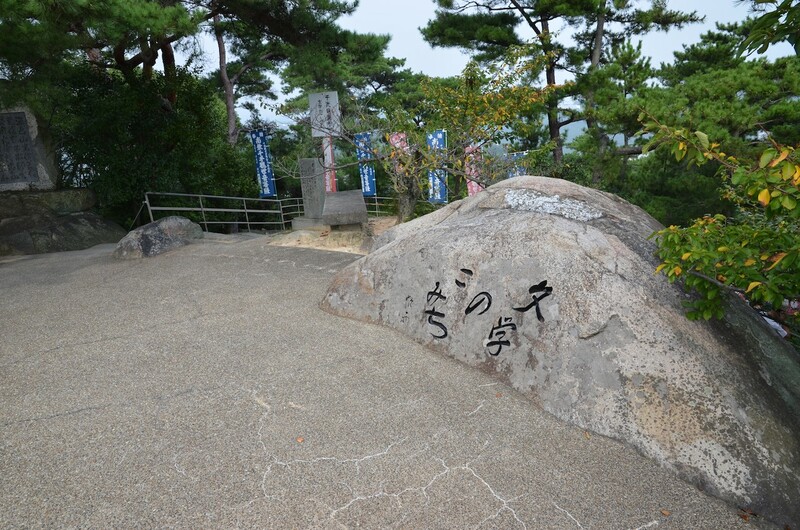 The Path of Literature on the hill contains stones carved with the words of famous poets and authors. Over 10,000 cherry trees are planted in the park so it is a popular destination for cherry blossom viewing when they bloom. The hike up can be strenuous in the summer heat. 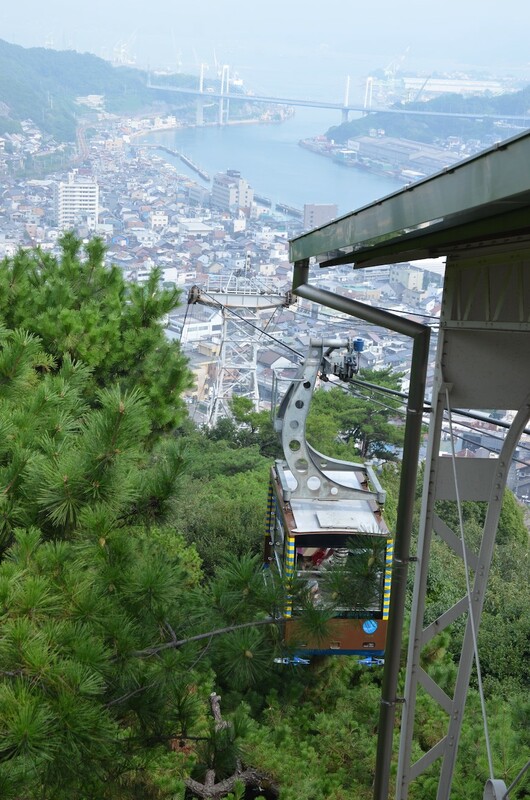 There is a cable car to the top that ends at a popular lookout tower. After you're up, there's plenty to discover by just wandering around and enjoying the view. Apparently, fans of famed locally born director, Nobuhiko Obayashi, love to take off and walk around for an entire day visiting all the temples that were featured in his films. His admirers apparently still come and follow in his footsteps. Following your own route amongst the temples is probably sufficient. 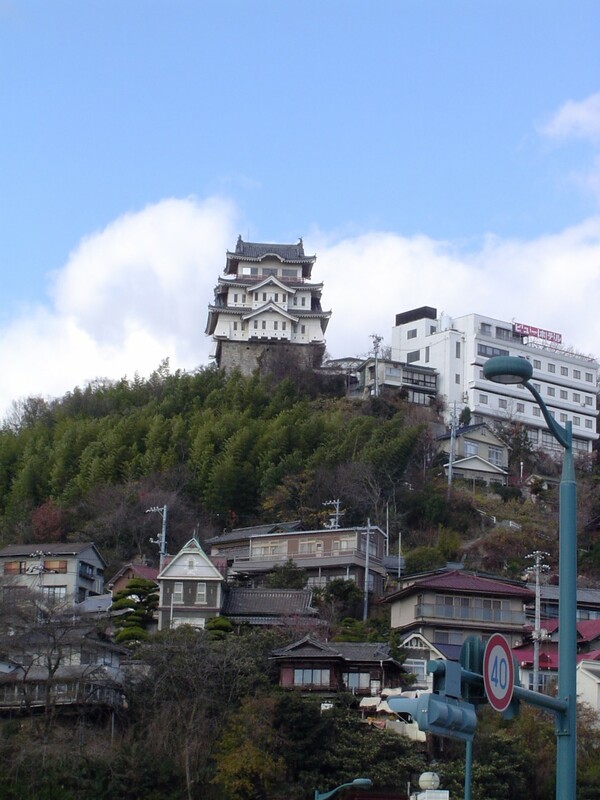 Onomichi Castle (尾道城) is perched on top of a hill behind Onomichi Station. From a distance, it looks quite impressive with its silhouette against the sky. 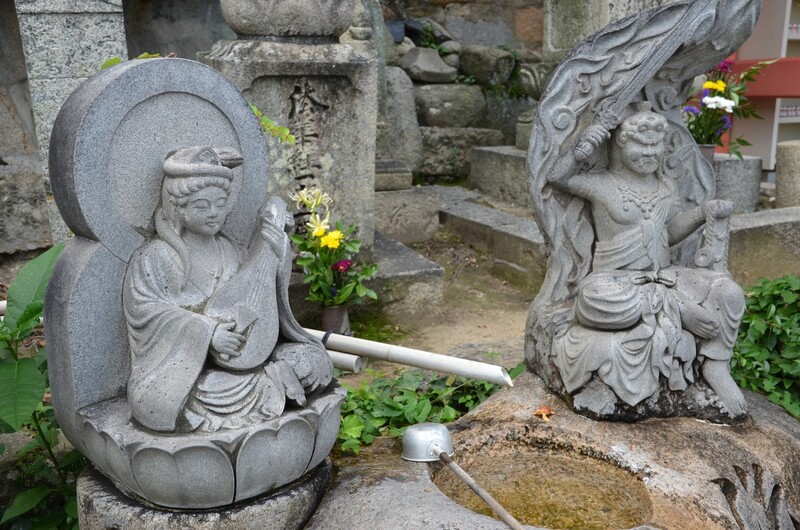 It is in Senko-ji Park, but if it is worth looking at a concrete reproduction is debatable. A path along the hilltop leads there. The city's art museum is focused on artists with a local connection such as Wasaku Kobayashi. The museum puts on temporary exhibitions as well. The amusement park closed in 2008 and left behind mostly an assortment of concrete structures. The monkeys apparently had dirt on the local politicians and managed to stick around for a while. The Shimanami Expressway (しまなみ海道) which begins in Onomichi City connects Hiroshima Prefecture to Ehime Prefecture (Imabara City) on the island of Shikoku. The third and final fixed link route between Honshu and Shikoku was officially opened on March 1, 1999. The 59.4 km four-lane highway crosses a total of 9 islands with 10 bridges. 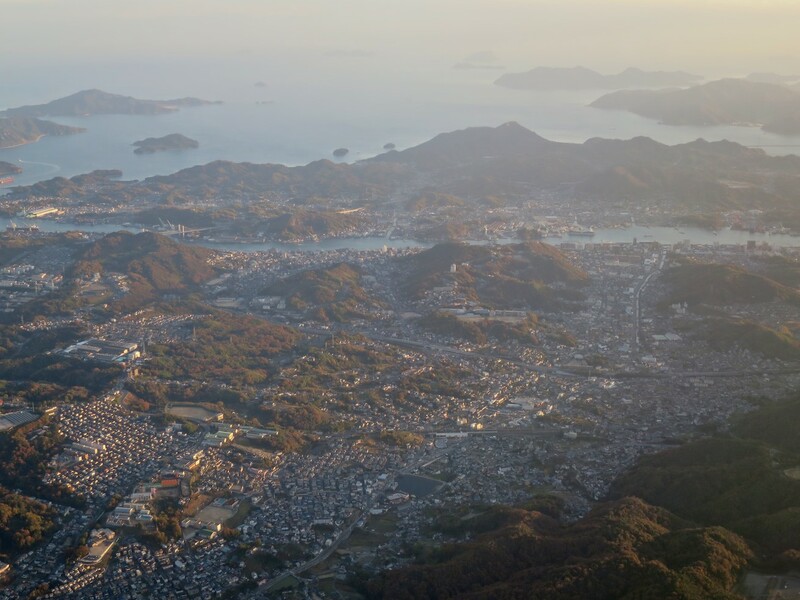 Its completion brought to a close a 29 year plan to connect Shikoku to the industrial heartland of Japan. In actual fact, construction of the expressway across Ikuchijima Island and Oshima Island is still ongoing. Of the three links, it is the only one which permits pedestrians and bikes to cross. All three expressways are run by the Honshu-Shikoku Bridge Authority. The Shimanami Expressway has not performed as well as expected because ferry services from many cities in Hiroshima Prefecture offer competitive prices, more convenience and faster travel times to Matsuyama City, the capital of Ehime Prefecture. 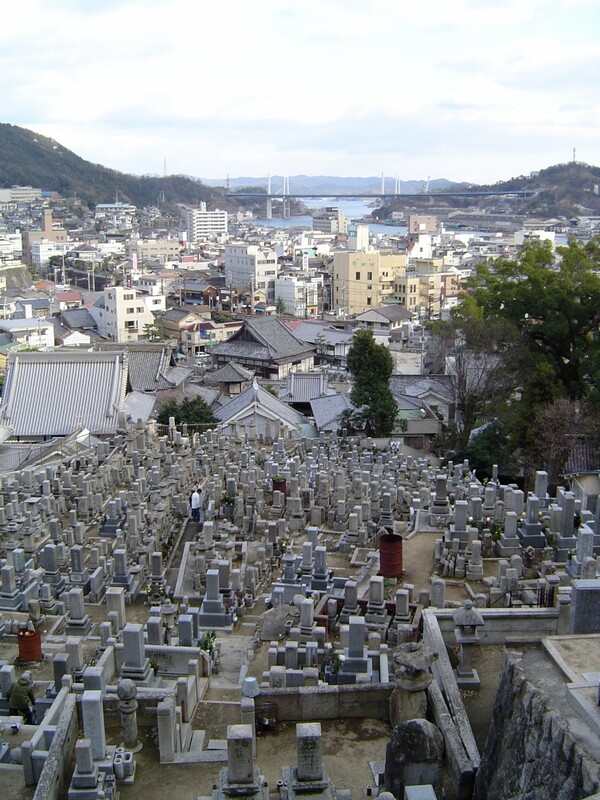 Onomichi City is west of Fukuyama City which is on the eastern border of Hiroshima Prefecture. 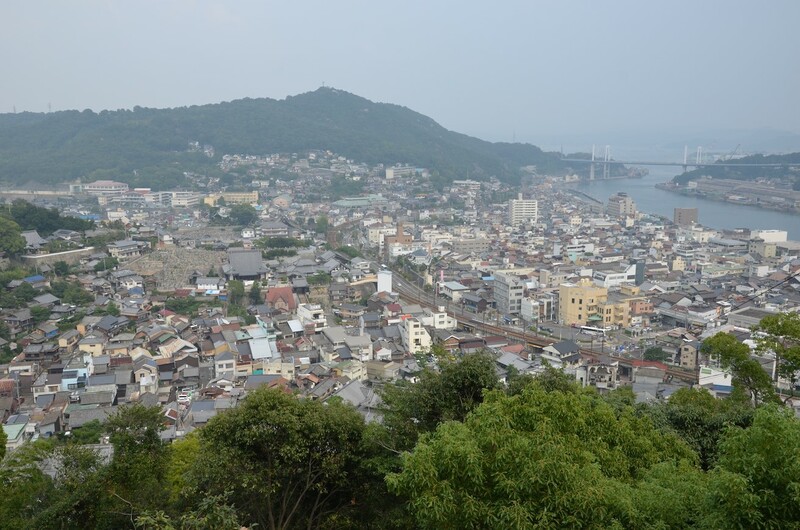 Both local and Shinkansen train lines pass through Onomichi. 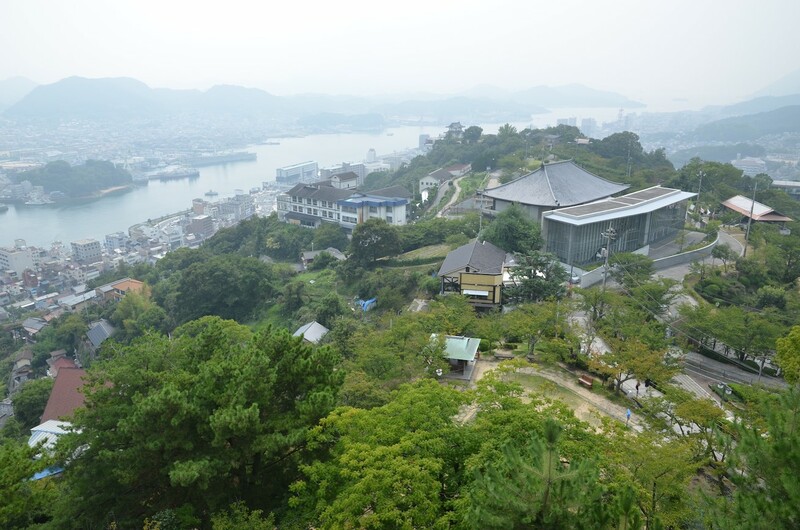 Only the slowest group of Shinkansen, Kodama, stops at Shin-Onomichi Station which is outside the city center. 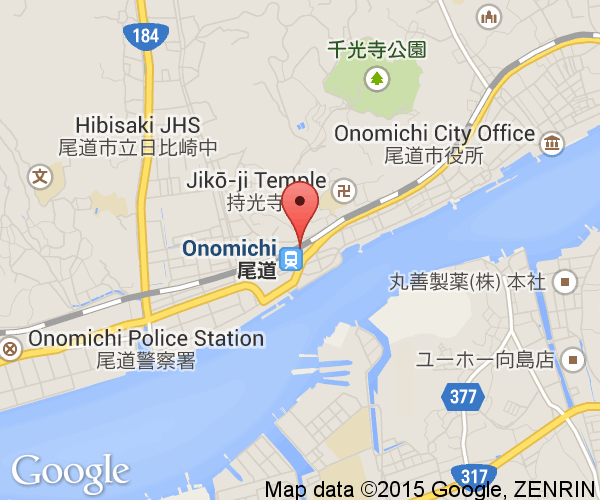 It is an hour and a half from Hiroshima City to Onomichi City on the local train. 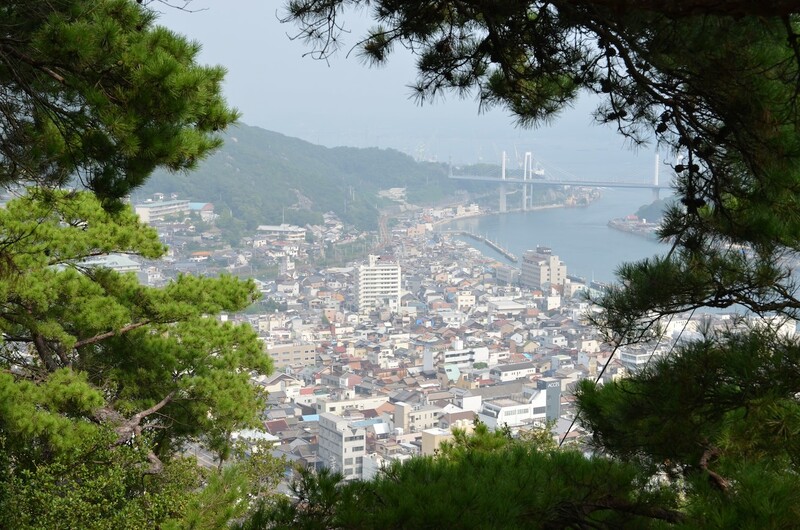 The Shimanami Expressway which island hops across the Seto Inland Sea to western Shikoku begins in Onomichi City.